With the growth rate of information repositories, most of the current research effort are focusing on improving the accuracy in searching and managing information (especially text data), because of lacking of adaptive knowledge representation to the information content of these systems. Besides, domain knowledge is evolving and consequently, ontologies should be automatically built and extended. Thus, introducing modularity paradigm in ontology engineering is now important to tackle scalability problems. 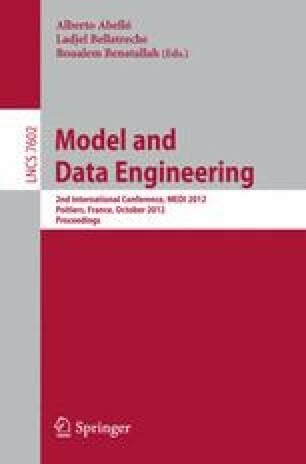 In this paper, we address the problem of representing modular ontologies at an abstract level that can improve the traditional information system with higher efficiency, in the context of previous work aiming at integrating ontology learning in traditional Information Retrieval systems on the web. The contribution consists in organizing ontology elements into semantic three-layered ontology warehouse (topic classification, domain knowledge representation, and module representation). The proposed model has been applied for textual content semantic search and relevance improvement has been observed.